This website will provide the residents with general knowledge and background on the Arrowsmith Water Service (AWS) and the Englishman River Water Service (ERWS). Planning for water supply in this region dates back many years. We secured storage by building the Arrowsmith Dam in 1999 and the next phase for the Englishman River Water Service includes a new river water supply intake, new water treatment plant and distribution system. These new initiatives will mitigate our current risks and ensure a safe, secure drinking water source for the future while at the same time, sustaining a healthy river system. 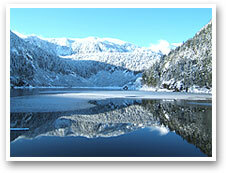 What is the Englishman River Water Service? 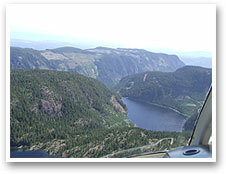 The ERWS is a joint venture between the City of Parksville and the Regional District of Nanaimo, formed to secure a bulk water supply from the Englishman River. This regional partnership supplements existing well supply sources owned and operated by the City of Parksville and Nanoose Bay Peninsula Water Service Area. Please see the section on governance for an understanding of the joint venture agreements for the AWS and ERWS. What is the ERWS project? In-river water supply intake designed/located to consider the needs of river users and to protect aquatic habitat. Water treatment plant with a minimum of 16 million litres per day of membrane filtration capacity to comply with new water regulatory treatment standards. Transmission supply mains to homes and businesses. To ensure a safe and secure water system is available for now and the future. Island Health has mandated the improvement of water quality standards for surface water (river water) with a deadline for compliance of December 31, 2016. Construction of the river intake is the next phase of improvement for our community's water supply following construction of the Arrowsmith Dam in 1999. Design of the intake is underway with construction scheduled for June 2016 followed by design and installation of the water treatment facility, scheduled for operation in summer 2018. >> How will this project be funded? 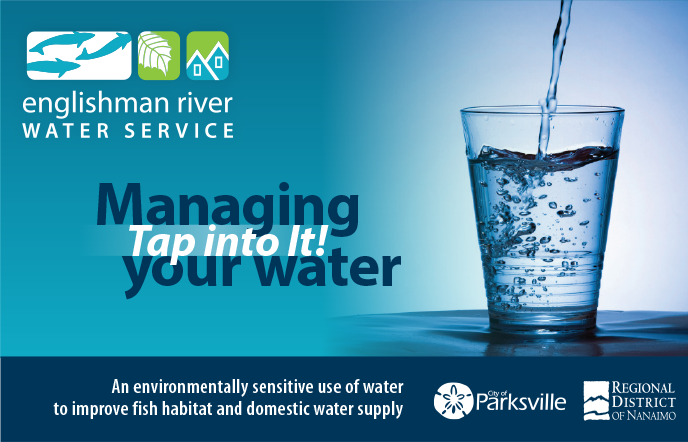 Englishman River Water Service is improving the water system for the City of Parksville and the Regional District of Nanaimo.